 Rush, A. M. & Weston, J. A Neural Attention Model for Abstractive Sentence Summarization. EMNLP (2015). Allamanis, M., Peng, H. & Sutton, C. A Convolutional Attention Network for Extreme Summarization of Source Code. Arxiv (2016). Hermann, K. M. et al. Teaching Machines to Read and Comprehend. arXiv 1–13 (2015). Yin, W., Ebert, S. & Schütze, H. Attention-Based Convolutional Neural Network for Machine Comprehension. 7 (2016). Kadlec, R., Schmid, M., Bajgar, O. & Kleindienst, J. Text Understanding with the Attention Sum Reader Network. arXiv:1603.01547v1 [cs.CL] (2016). Dhingra, B., Liu, H., Cohen, W. W. & Salakhutdinov, R. Gated-Attention Readers for Text Comprehension. (2016). Vinyals, O. et al. Grammar as a Foreign Language. arXiv 1–10 (2015). Wang, L., Cao, Z., De Melo, G. & Liu, Z. Relation Classification via Multi-Level Attention CNNs. Acl 1298–1307 (2016). Zhou, P. et al. Attention-Based Bidirectional Long Short-Term Memory Networks for Relation Classification. Proc. 54th Annu. Meet. Assoc. Comput. Linguist. (Volume 2 Short Pap. 207–212 (2016). Yang, Z. et al. Hierarchical Attention Networks for Document Classification. Naacl (2016). Yin W, Schütze H, Xiang B, et al. 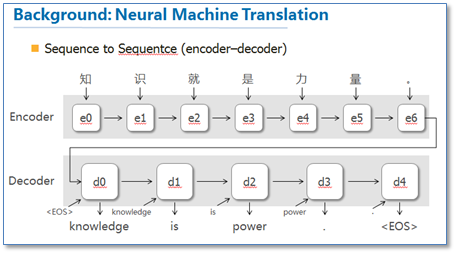 Abcnn: Attention-based convolutional neural network for modeling sentence pairs. arXiv preprint arXiv:1512.05193, 2015. Mnih V, Heess N, Graves A. Recurrent models of visual attention[C]//Advances in Neural Information Processing Systems. 2014: 2204-2212.